If you’re reading this blog—whether or not you homeschool—chances are that you already believe in the benefits of reading aloud to your child. Read-alouds help to strengthen family ties by providing a shared bonding experience between parents and children. And guess what? There’s even more good news! All of these benefits apply equally to language learners! For that reason, foreign language read-alouds can be a powerful tool in any family’s language learning journey. But just how can you do them if mom and dad don’t speak another language? That’s the question I’m tackling in my posts this week. And here’s the good news: because of modern technology, foreign language read-alouds are now readily accessible to all families, and with some planning and strategic use, they can be easy and effective language learning tools for you and your kids. If your children are studying a foreign language that you yourself don’t speak (or plan to learn), I suggest focusing on two primary tools for read-alouds: audiobooks and YouTube read-alouds (yes, they’re a thing!). Today, I’m going to focus on how you can develop a detailed game plan for using audiobooks at home, and later this week, I’ll be writing about how to find and use the best YouTube foreign language read-alouds. If you’ve been following me for a while, you know that I’ve already written about the unique benefits of audiobooks for homeschool language learners, and I’ve shared the Spanish language audiobooks that our family adores. And I mean, when it comes to audiobooks, what’s not to love? Audiobooks are portable, conveniently low-prep, and massively useful for providing kids with exposure to both native accents and complex communication patterns in the target language. As I’ve talked to more parents about how to use audiobooks in their homes, however, it became obvious that I actually had a few more tricks to share about where to find and how to use the very best audiobooks in foreign languages. Step One: Establish your child’s proficiency level (and figure out its audiobook equivalent). Step Two: Make your book list using Audible’s search feature. Step Three: Get your audiobooks—easily and affordably. Step Four: Enjoy your audiobooks as a seamless part of your family life. One important thing to know about children’s audiobooks (including those in a foreign language) is that they are often sorted by age range, NOT by proficiency level. So if you have a fourteen-year-old who is just starting to learn French, you won’t want to look for Young Adult audiobooks in French—they would be much too difficult to understand! And audiobook companies, since they are geared at native speakers, often don’t sort their books by level of difficulty. So, what’s a parent to do? Ages 0-4 (Board books and simple picture books): best for beginning to intermediate language learners of any age. Note that in my experience, true beginners may want to stick with listening to board books that they are already familiar with to help get them used to listening to books in a foreign language — think Goodnight Moon, Eric Carle’s simple books, or Clifford The Big Red Dog. At this level, I highly recommend having the picture book (or board book) on hand to go along with the audiobook; it will make your child’s listening experience much more fulfilling by providing essential visual support. Ages 5-7 (Fables and short stories; beginning chapter books): best for intermediate to advanced language learners of any age. Although fairy tales may seem like simple literature, they actually use complex language, so these are best reserved for children who have proven listening skills in the target language and who are willing to work to follow along. Ages 8-10 (Classic children’s literature and chapter books): best for advanced language learners of any age. This category includes books like The Adventures of Tom Sawyer and Alice in Wonderland—books that are a delightful challenge for the passionate language learner! Teens: best for advanced learners, generally ages 10+ (for content). Audible separates YA fiction from children’s fiction, so this category includes translations of popular YA author John Green and popular tween and teen series, like Harry Potter and the Eragon. However, this category also includes books like The Count of Monte Cristo, so, as you might guess, the complexity of these audiobooks within this category varies widely. Step two: Make your book list using Audible's search feature. Honestly, the best way that I’ve found to do this is to use Audible's search function. Regardless of whether I purchase my audiobooks through Audible or check them out through my local library (more on that in a second), this is how I find them. It’s just the most effective way: Audible’s search feature lets me sort by age (or proficiency, as I mentioned above), length, and genre, so I can quickly find the audiobooks that best match what I’m looking to give to my kids. Aside from searching by title, you may also consider searching by narrator. If you find a narrator that you really like, Audible will let you search for other audiobooks that he/she has performed, simply by clicking on the narrator’s name, and that’s how we’ve found some real gems in our house! Step three: Get your books—easily and affordable. We do have a monthly subscription to Audible, but I also frequently purchase children’s books outside of our membership. Why, you ask? Well, it’s simply more cost effective. We’re Audible Gold members, which means that we receive one audiobook credit per month for our $14.95 subscription. However, many children’s books cost significantly less than that (often in the $1.99-$5.95 range), so I generally pay cash for those and save my credits for the slightly more expensive children’s books that Audible carries, like The Lion, The Witch, and the Wardrobe in Spanish. If you sign up for a free trial with Audible--which includes two audiobook credits--you may want to use those credits in a similarly strategic way. And by the way, if you’d like to get started on audiobooks but think that the Gold membership is too much, you can contact Audible to request a Silver-level membership, which gets you one book every other month for just $14.95. I’ve got some step-by-step instructions on how to do that at the bottom of this post. Your local library likely has audiobooks available in CD form, and those can be a great resource for kids learning foreign languages—especially if your library packages them (as our does) with the picture books that they narrate! However, don’t forget that you likely have access to hundreds of foreign language audiobooks through your local library’s electronic collections—and these are an amazing resource! Our library provides us with access to foreign language audiobooks through two services: Overdrive and Hoopla. I have both downloaded as apps on my phone, and their websites are also bookmarked on my computer. Once I’ve established my list in Audible, I’ll look up the books that I’m interested in both of these apps to see what’s available for free and especially to “test drive” them if it’s a new narrator or a book that I’m not sure my kids will enjoy. I would bankrupt our family if I purchased every audiobook that we listen to, so I try to steward our resources well and preview most of our audiobooks for free—and then I buy those that either aren’t available through our library or that I expect to listen to more than once. One of the best features of audiobooks is that they can be enjoyed just about anytime, anywhere—really! I often listen to my own audiobooks as my toddler is pushing his Cozy Coupe around our porch or even while I’m showering (this waterproof bluetooth speaker lets me do that). Listen to a short foreign language book together (and discuss it!) as part of your Morning Basket. Download a foreign language audiobook to listen to on your drive to (and from) the grocery store—listening more than once increases comprehension! Use audiobooks for older children during rest time (this is what my older son is doing right now, as I type this). For more proficient foreign language students, download a longer audiobook for a road trip. Listen to a foreign language book on a bluetooth speaker while your young children are playing in the bath (yep, we do this too!). Designate one or two meal times per week (Taco Tuesday, perhaps?) when you listen to an audiobook—chewing mouths often means good listening! Please comment below to let us know your experience. How are you using audiobooks to learn foreign languages in your home? What are some of your favorites? P.S. 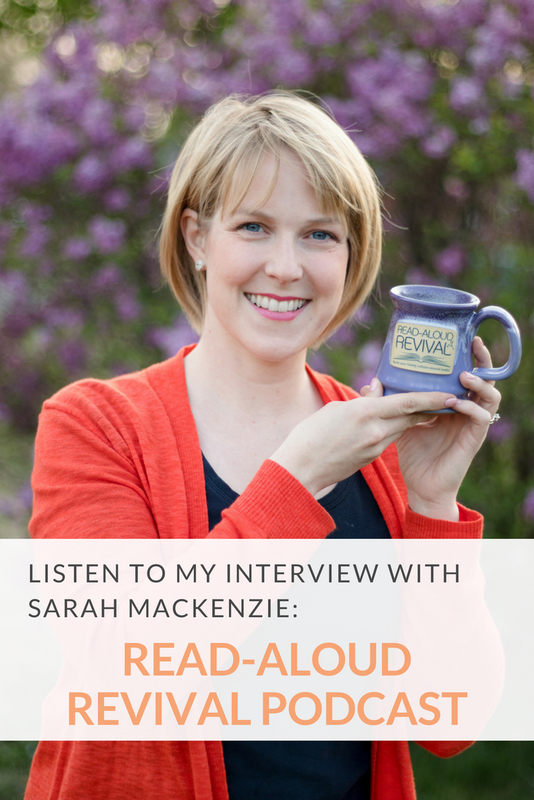 If you’re not already listening to Sarah Mackenzie’s truly excellent podcast, the Read-Aloud Revival, I highly recommend it—it’s what got me turned on to audiobooks in the first place. I’ve been listening to RAR since the very first episode was released almost four years ago, and am consistently impressed by Sarah’s in-depth interviews with her fascinating guests. 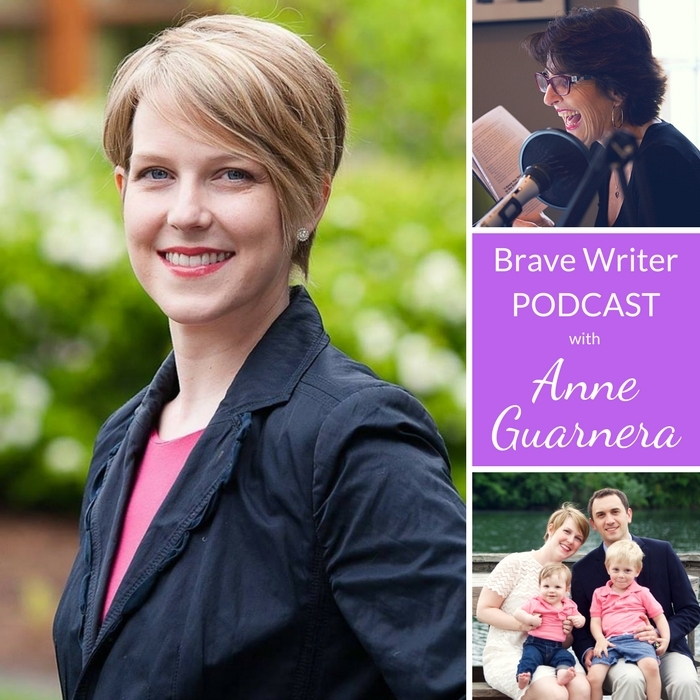 There are episodes on topics for everyone: how to read aloud with active boys, reading aloud around a traditional school schedule, and how to include diverse read-alouds in your family life. And by the way, Sarah also has a new book coming out next week: The Read-Aloud Family, all about building your family culture around books. I pre-ordered it last week and can’t wait until it arrives in my mailbox on Thursday! P.P.S. Here's how to unlock an Audible silver membership: Start by signing up for a free 30-day trial of Audible (which includes two free audiobooks for you to keep--whether you decide to keep your membership or not). Next, on the upper right-hand side of the page, click “Help” and when you arrive at the “We Are Listening Page,” go to the upper right-hand corner again and click “Contact Us.” You can connect with Audible’s customer representatives in the way that’s most convenient for you (chat, phone, or e-mail) and request to be changed to the Silver plan. I’ve dealt with Audible’s customer service before and they were extremely efficient and gracious, so I’m sure they’ll be happy to help you out!